Journal of Hypertension and Management is an international, open access, peer reviewed journal that publishes wide variety of clinical information in all the aspects of arterial blood pressure. 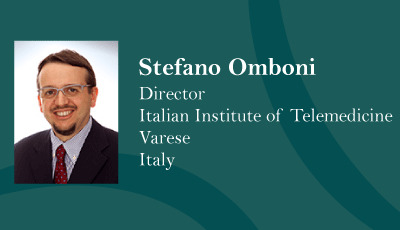 The main objective of the journal is to set a forum for publication, education, and exchange of opinions, and to promote research and publications globally. The Journal provides a platform for all clinicians, surgeons and health professionals to contribute their findings and helps raise awareness among community on hypertension and its management. We aim to publish highest quality clinical content via open access platform providing the readers without charge, immediate and unlimited access. 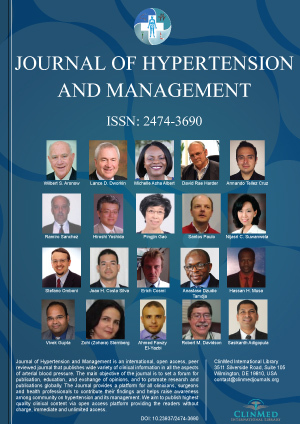 Journal of Hypertension and Management is an open journal which accelerates research updates on Systolic Pressure, Diastolic Pressure, Primary Hypertension, Hypertension Pathophysiology, Hypertension in Pregnancy, Paediatric Hypertension, Hypertensive Crisis, Diagnosis, Prevention, Management, Lifestyle Modifications, Resistant Hypertension, Epidemiology, Genetic History, Hypertension Comorbidities, etc. The journal accepts articles in the form of Original Article, Reviews, Mini Reviews, Short Communications, Case Reports, Perspectives/Opinions, Letters, Short Note and Commentaries. All articles published in the journal are subject to a rigorous peer review process. Authors can publish their experimental and theoretical results in detail to disseminate the updated research findings. Can Effective Treatment of Resistant and Uncontrolled Hypertension Improve Outcomes from Atrial Fibrillation Ablation? Hypertension and Anesthesia: What's New? Is There an Association between Oral Helicobacter pylori and Hypertension, Coronary Artery Disease? Barriers and Facilitators to Referral for Asymptomatic Hypertension in the Emergency Department: A Multidisciplinary Survey of ED Providers in U.S.